Bertazzoni 36” built-in refrigerator has 14 cubic feet of refrigerator volume and 3.7 cubic feet of FlexMode Refrigerator-Freezer. 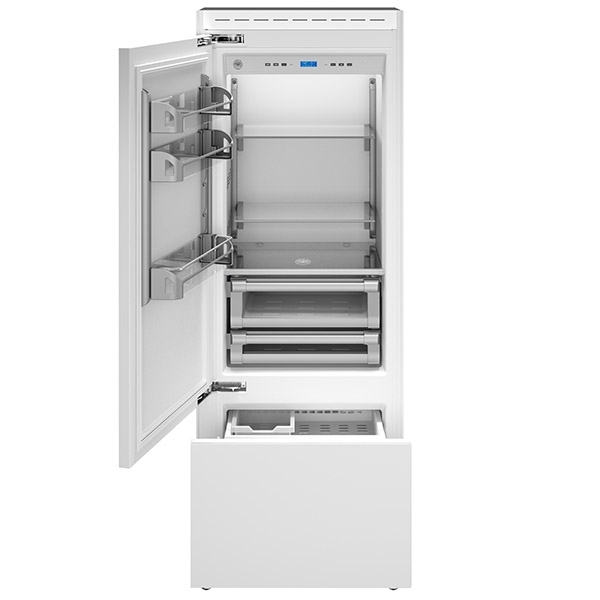 It allow to switch bottom compartment between freezer and refrigerator with one touch. The lateral airflow system, with dual compressor and evaporator for refrigerator and freezer, reduces cold air loss when opening doors and allows for category-leading interior depth. Interior LED lighting on top and sides provide bright interior illumination on all levels with minimal energy consumption.